Dem Bubbles Be Crazy | This is Ashok. Wait – with lower interest rates, the question should be why hasn’t the price to earnings ratio increased? 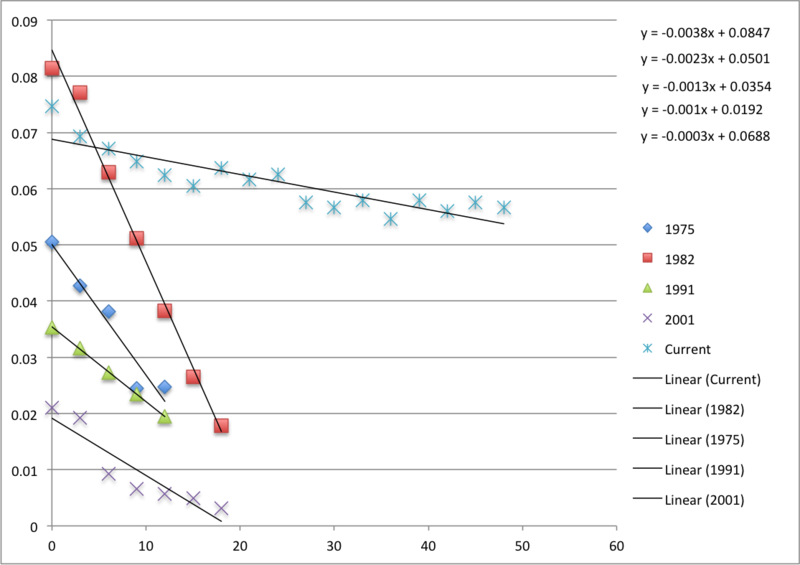 The short term yields – more or less the Fed’s prerogative – are not significantly lower than the natural rate. That is, yield spread between 30-yr and 1-yr Treasuries is just not unnaturally high. Quite simply, this means investors expect 1-yr yields to be low in the foreseeable future. (This is quite a long time, as far as markets are concerned). But I don’t think anyone expects prolonged QE either. This means real factors like a global savings glut, shortage of safe assets, and dare I say confidence in American government have kept our yields low, in real terms. Higher tax revenues (because outside of a liquidity trap, government borrowing does crowd out private investment) implying higher incomes. In other words, with higher earnings and lower interest rates, shouldn’t stock prices be even higher? 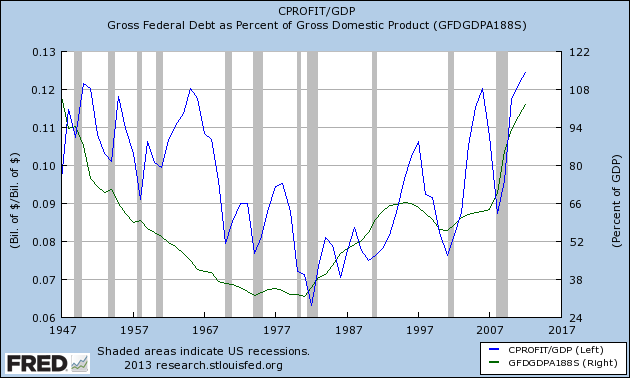 Profits and public debt – as a % of GDP – track each other pretty well, eh? If we are to believe there’s a structural factor that correlates the two, as American debt stabilizes we would expect – at least in a naive interpretation as for P(A|B)=P(A&B)/P(B) – profits to level off. That seems to further the case that quantitative easing has just allowed investors to realize future profits today. 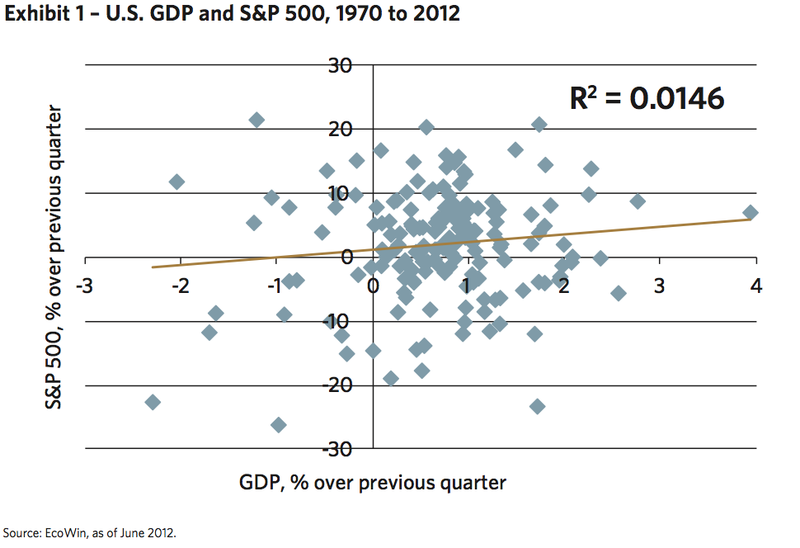 It doesn’t at all advance the idea that stocks are overvalued or, worse, there’s an imminent bubble. Of course, the strongest evidence that fundamentals are strong is that no one is predicting Dow 36,000.